Cone-beam computed tomography (CBCT) scans of a patient's upper jaw may be used to make precise dental implant surgical guides. 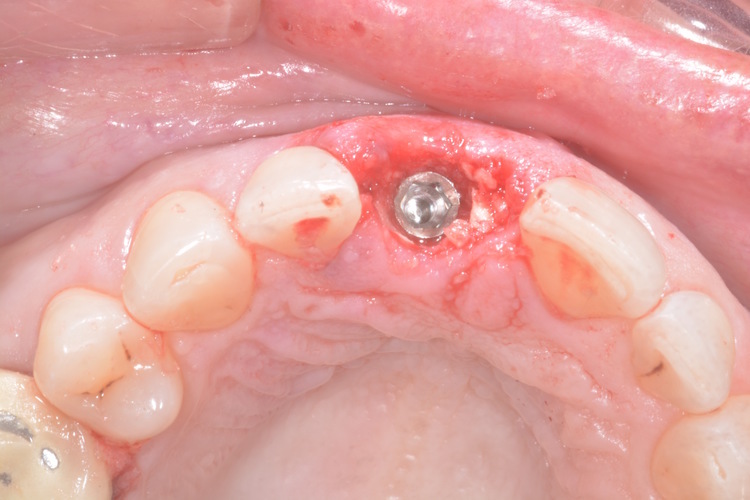 This technique allows precise placement of dental implants which in turns prevents complications such as the drill or the implant hitting adjacent teeth or other relevant anatomical structures. This method additionally allows minimal invasive surgery which leads to less pain, discomfort, and possible infection. The course seeks to teach students to be lifelong learners by utilizing the latest digital technology. Specifically, students will learn dental implant treatment planning software and 3D printing technology to diagnose and solve real clinical problems related to implant positioning. Students will understand the principle of implant planning software, 3D printing, and technology, to utilize in a clinical case. The students will work with graduate residents and faculty in the prosthodontics, periodontics, and oral & maxillofacial surgery departments. 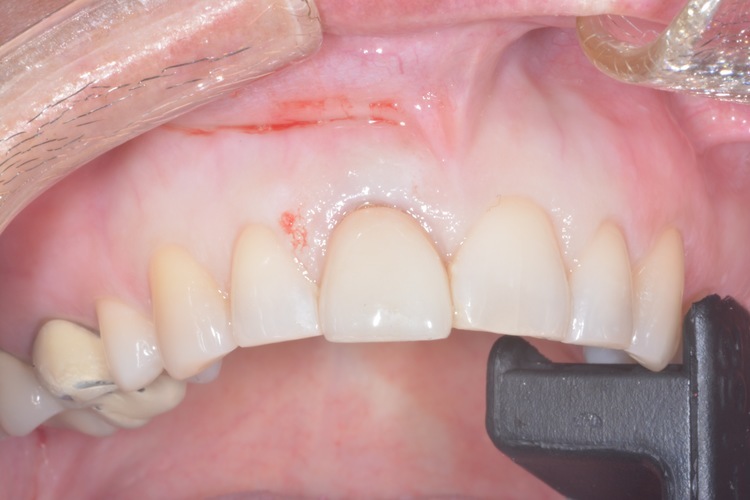 A tooth is first extracted and then scanned using a Planmeca scanner. 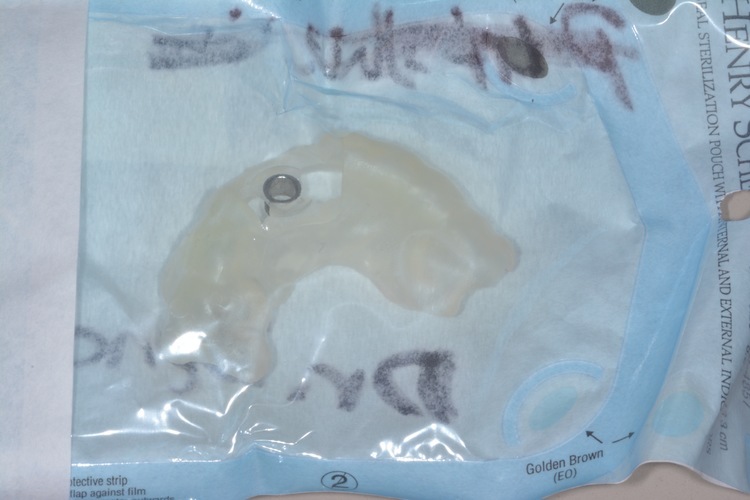 Then a surgical guide is created through CAD/CAM using 360 imaging solutions software and a Formlab 2 printer. The surgical guide then is placed during surgery to provide a precise fit. Lastly, the implant is then drilled in the planned position. Images are attached for visuals. Contact Hours & Type: A total of 19 contact hours include 3 hours of self-learning online, 6 hours of workshop, 6 hours of clinical experience and 4 hours of seminar. Other Course Faculty: Dr. George Deeb, Dr. Janina Deeb, Invited Outside Speaker, Dr. Daniel Whitley, and Graduate Resident TAs in Oral & Maxillofacial Surgery and Periodontology. Semester course; 13 seminar hours and 6 clinic hours. 1 credit. 1) An online self-learning module on basic principles of 3D printing and its applications in biological and health sciences. 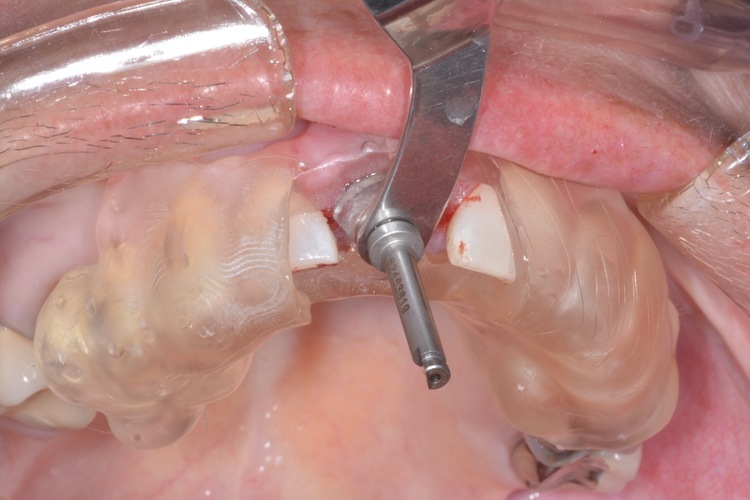 Furthermore, students will learn best practice workflow for implant guided surgery. 2) A workshop on implant treatment planning using the commercially available software for purposes of 3D printing models and surgical guide. 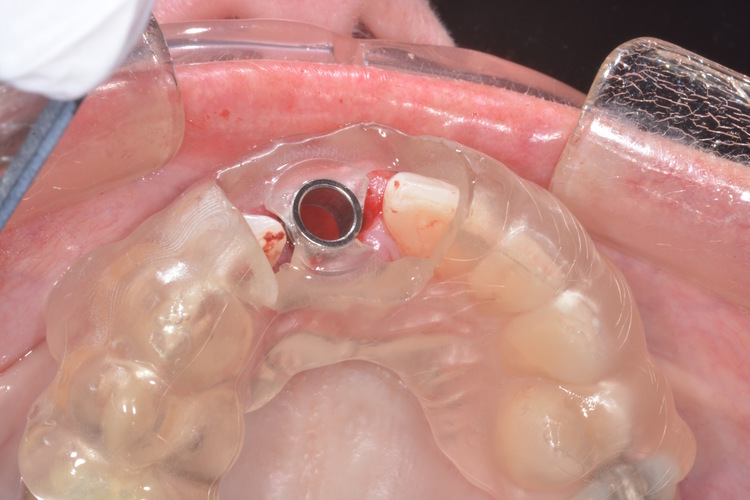 3) A patient-based observation experience in implant guided surgery. The course is designed for students to use the most up-to-date digital technology to diagnose and treat real clinical cases. Four- year students with GPA of 3.5 or greater who are interested in implant dentistry or specializing in periodontics, prosthodontics, and oral & maxillofacial surgery. -Each student is required to pass 3 online quizzes at the end of the online self-study session. -Each student is required to complete at least one clinical case in computer-based implant treatment planning and surgical guide fabrication. 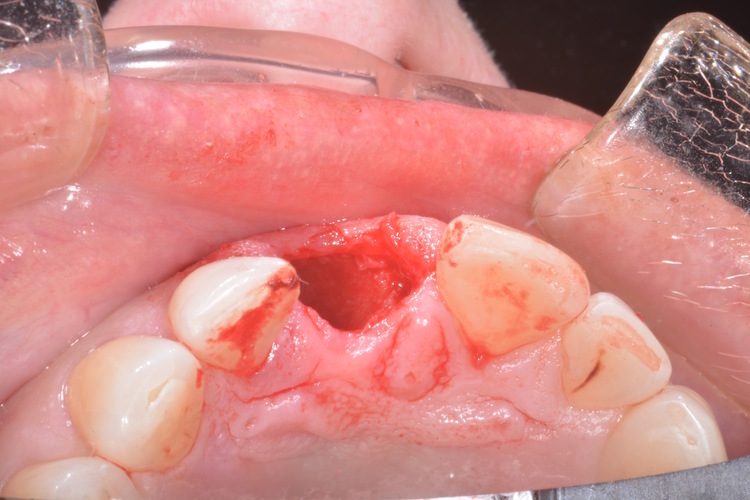 -Each student is required to assist or observe an implant guided surgery procedure in clinic. However, students are encouraged to work as a group and do more than one cases. However, each student will have one case for implant planning, guide fabrication, assisting in surgery and finally for his/her final exam portfolio. -At the end of the semester, student is required to turn in a final exam paper as a portfolio composed of written summary of the case together with photographs of implant planning, guide fabrication, and patient treatment sequence, as well as to do an oral case presentation.